On March 21, we have a celestial treat. Right as the Sun moves into Aries, the Moon ingresses into Libra, creating a glorious full moon precisely on the equinox. It is not very common for the solar and lunar calendars to converge and when they do, it is a sign for many more synchronicities and adjustments to follow. In other words, a good omen. March 21 is the equinox, a day celebrated around the globe for eons. It is the day when dark and light, yin and yang, are in perfect balance and harmony. The other equinox falls on September 21 and is the first day of Libra, the sign of harmony, equilibrium, beauty and relationships. However, this year we happen to have a Libra full moon crowning the occasion which is needless to say, extremely auspicious. The equinox of March 21 is also the Astrological New Year, the ancient Babylonian and Zoroastrian New Year as well as Nowruz, the Iranian celebration of beginning of the year. In the northward equinox, spring begins and life returns as day get longer. This astrological phenomenon is the basis for the celebration of Passover (exodus from the slavery of winter) and Easter (nature resurrects). It is also the first day of Aries, the zodiacal archetype of liberation and superheroes. Life buds, trees regain their garments, and nature celebrates her renewal. 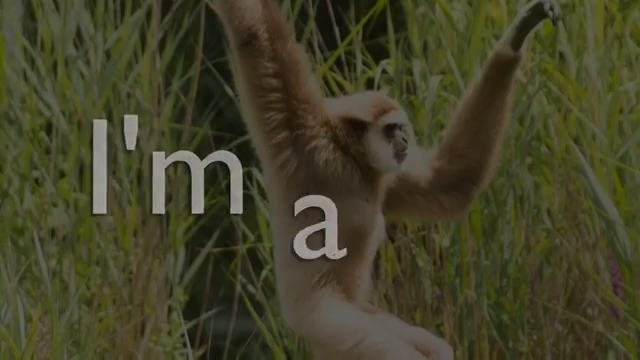 Aries key word is "I AM," and the next 30 days are a great time to redefine who you are, reinvent yourself, return to your body and decide what part of your personality or life you need to liberate in order to gain your true-potential. This is the time of the year you encounter your inner-Moses, the warrior/wizard that can part seas and rain down fire and brimstone from the sky. In the New Eastern calendar we are entering in April the month of Nisan, the month of miracles. The full moon in Libra taking place on the first day of the astrological year signifies that in the next 12 months you can bring a pattern that blocks you to an end (full moon). Since the the moon is full in Libra, the sign of relationships, these patterns might be related to justice, law and partnerships. This full moon equinox also gives you the power to use the rest of the year to complete things you started in the past and could never muster the will or energy to bring into fruition. Adding to this surge of energy is Jupiter's transit in Sagittarius that creates a 120 degrees aspect to the Sun. Triangles are always good news and represent doors opening and opportunities. However, Jupiter will start retrograding from April 9 and travel backward until August 12. This means that a great deal of the rewards and benefits bestowed by Jupiter will be held in a saving account you cannot access before he goes direct on August 13. As for the Mercury retrograde in Pisces, well, we still have to deal with his reverse motion until March 29. Be extra careful with your immune system but also with deception (9 billion Theranos Scandal) as those are ruled by Pisces. But it is a good time for remembering and working with dream, synchronicity hunting, and recalling memories or skills from past lifetimes. April 4/5 are good days to start a new project or set new goals for the next year. It is a new moon in Aries and we are free from Mercury retrograde and before Jupiter shifts into reverse gear. If you are in Los Angeles, my good friend and primordial artist Uri Averbuch is doing a solo art show on April 6 at 7pm. Here is a Facebook invite. I will be there and hope to see some of you. His painting always remind me of "the face of the deep," what the Greek would call the "yawning void"
In 2018 you were pregnant with a new identity, in 2019 you give birth to a new self. Find out why 2019 has been dubbed “the year of paradoxes,” and what you can do to integrate the opposing forces presented by the heavenly bodies in the year ahead. Get your must-have guide to all the major astrological aspects of the year 2019. If you are planning something big next year, don't finalise anything until you take this workshop. This will be a magical mystery tour into the astrology of the year ahead and you will leave this workshop with all the tools you need to make your wishes a reality as well as when to do it. In the workshop, we discuss how to choose a good New Year resolution and when is a good time to start manifesting it. Online Teachers Call is a video call with Gahl which offers an opportunity for people to say hello and hear Gahl talk and present out the topic of…. Make sure you sign up online and register for your place on this special event here. This will be a zoom call which you can join without having to be a member of zoom. Once you have registered and paid a link will be send to you with the live call chat link. AT the time of the event, the host will mute all attendees on entry and the presentation talk will commence. There will be some time at the end of the call to raise your hand to ask questions or alternatively you can email your questions in prior to the call to be answered. We will endeavour to do our best to cover all questions but appreciate your understanding if we get too many for the time allocated for this event. We will be recording the event and so if you are unable to attend despite having paid, we will be able to send you the link so you can view it after the event has closed. Zoom is very easy to use and the link will take you directly to the meeting where you can access your devices video and microphone. If you prefer to remain in audio listen mode only, simply leave your video off. We look forward to having a wonderful personalised group call with you. Sign up today! Click link below here to register. BIO: Gahl Sasson is an established author and has been teaching workshops on Kabbalah, Astrology, and Mysticism around the globe for over a decade. His first book, A Wish Can Change Your Life, has been translated into over seven languages and is endorsed by HH the 14th Dalai Lama. 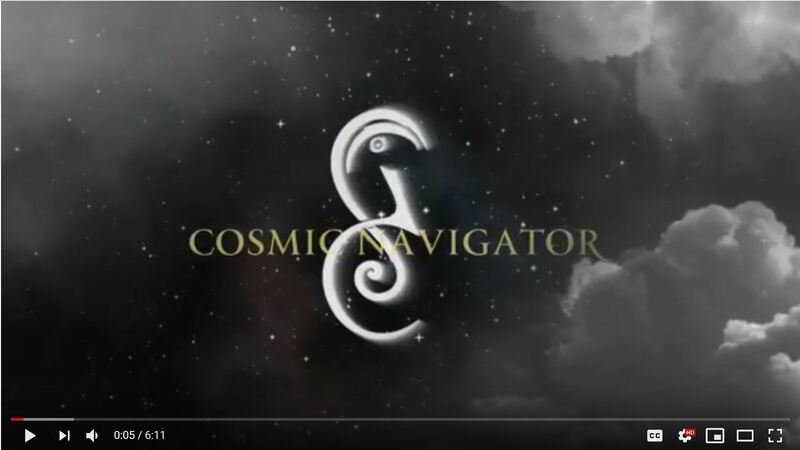 His latest work, Cosmic Navigator, is the essential reference guide to understanding your astrological make up. This will be a zoom call which you can join without having to be a member of zoom. Once you have registered and paid a link will be send to you with the live call chat link. At the time of the event, the host will mute all attendees on entry and the presentation talk will commence. We look forward to having a wonderful personalised group call with you. "The author is a well-traveled astrology teacher who weaves numerology, the Chinese zodiac, and mystical traditions into his work. Along with overall guidelines for the year, the author includes specific dates for initiating projects, the most significant aspects for each planet for the year, detailed forecasts for each zodiac sign (with particularly useful insights on eclipses), and much more." 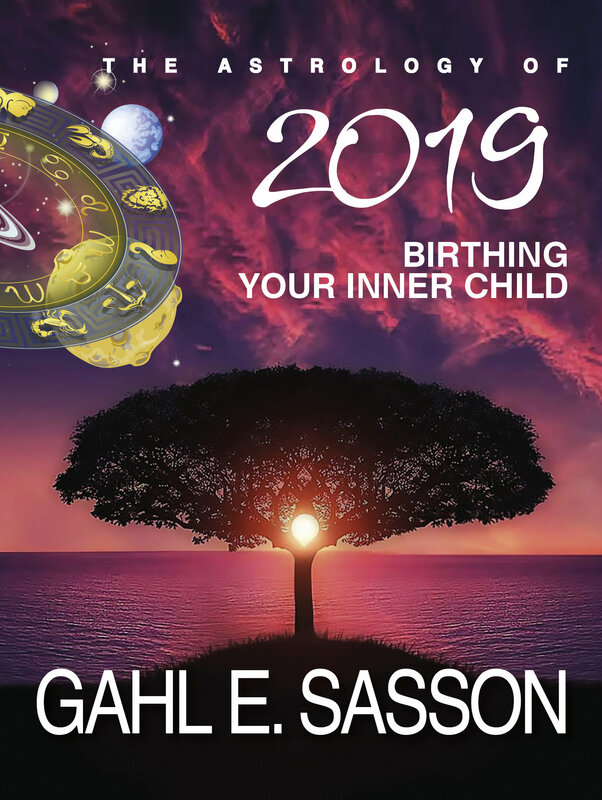 Excerpts from his book: The Astrology of 2019 – Birthing your Inner-Self. Aries: I am my mission. 2019 Integration: Career and Home. 2019 continues your journey to reshape, rediscover, and manifest your career. Saturn, the Lord Karma, the grand teacher and the rectifier, is helping you rebuild the adobe of your professional life. You are the shepherd, the leader of the zodiac, and we expect you to boldly go where we dare not go. You are the pioneer and your job this year is to continue pushing the boundaries of what we know is possible. You are like a Knight of the Round Table, in search of the Holy Grail. Treading on a path already paved by another is an un-Aries thing to do, and this year you can truly push yourself to the limit in your career. If you are happy with your choices in your professional life, then this is the year to put a great deal of energy, planning, focus, and endurance toward making it happen. 2020 will continue your career journey, for this reason, I suggest you prepare for a marathon rather than a short sprint. If, however, you are not satisfied with your professional choices and want to make a change, this is a good year to make the jump. This is the year to find or continue your mission. In 2019, you can slay the dragon and save the prince/princess. Since Pluto (transformation) and Saturn (focus and hard lessons) and the eclipses (acceleration of processes) are all converging in your house of career, it is an auspicious time to make changes and fix your vocation as well as find a mission that can be your call to action. Since Saturn is now transiting in the house of fathers, mentors, and authority figures, you might find some bosses or people who have power over you more difficult to handle. Try to use the eclipses in January, July, and December to fix or heal relationships with father figures. It is hard to tell an Aries what to do and even more difficult for you to be bossed, but remember that you can help your bosses by carving out some independence or autonomy in your job, a place where you can have the freedom to lead and make decisions. Taurus - I have change. 2019 Integration: Authenticity in communication. 2019 is a roller coaster for your tribe. Uranus, the planet of unpredictability and chaos, has moved in and out of your sign since May 2018 and will be hosted by you until 2026. However, from November 2018 until March 6, 2019, Uranus retrograded for a short visit back to Aries, giving you a bit of a break. From March 2019 onward, you are back under the influence of Uranus. There is one way to describe Uranus in Taurus: ch-ch-ch changes. Uranus transiting in Taurus happens once in 84 years so unless you are in your late 80s you have not experienced this aspect before. Since Uranus also represents originality, futurism, and technology, the next few years offer a great opportunity to upgrade and update yourself and your life. This year people born April 20-26 will experience Uranus moving over their sun. This transit makes your life go through a roller coaster, sudden changes and twists. Be careful not to be a rebel without a cause. Saturn, the Lord of Karma, the rectifier, continues his teaching in your house of truth and authenticity. These lessons started last year but are now becoming stronger as Jupiter, the planet of truth and philosophy, has moved into Sagittarius, the sign of authenticity. You are not only learning about truth. You are also supposed to be teaching this noble concept to others. This year revolves around education, connection to multinational organizations, exploring the world either by meeting foreigners and exposing yourself to different cultures or by traveling abroad. This year, you will have to ask yourself, what is important in my life? What am I willing to fight for? What is my moral compass? What are my mission statement and values? You will also have to confront liars, thieves, and people who are dishonest. They will be your devils, trying to tempt you from your path of self-discovery. Remember, when Saturn is in your house of truth, any lie, intentional or innocent, white, black, or gray can immediately cause a reaction. Bearing this in mind, be aware of cheating on lovers, taxes, friends, or yourself. Gemini - I think of thinking less. 2019 Integration: My talents and my partner’s talents. Dearest Geminis, you will find 2019 very curious and interesting. This is great news for you, as a mutable sign, who else on the zodiac appreciates change and movement like you? Saturn, the Lord of karma, the rectifier according to Kabbalah, is deep in your house of death and transformation. Sounds spooky, and indeed it is, considering that the eclipses are going to join Saturn in your house of the underworld, which has already been hosting Pluto, the Lord of death, since 2008. Some say that Gemini, an air sign, is the most superficial sign, an archetype that is interested in knowing just enough about every subject under the sun so they can swing a meaningful conversation with anyone they meet. I will not say if I feel this is true or false, but I can promise you one thing. Once in 30 years, you get deeper than any sign (even Scorpio). Now is the time to take a deep breath and dive deep. Saturn in the house of sexuality, death, transformation, intimacy, and the occult, is not your natural place to hang out. But this year you will experience a great deal of interest in investigation, hermetic studies, healing and therapy, death and the afterlife, as well as all forms of transformation. This year you are shedding and next year you will resurrect. Saturn in your house of transformation can help you dive deeper into a new research field. Saturn can focus your energy in investments, production, and working with other people’s money and talents. But Saturn can teach you some harsh lessons with taxes, insurance, as well as grief. So be extra careful. Saturn will also want you to examine your passion and sexuality. For some Geminis it will feel like being in a cocoon, asexual and divorced from their passion. For other Geminis (yes, you are a double sign) this same aspect can transform how you view your sexuality, what attracts you, and maybe even get you to experience passion in a fresh way. Adding to the karmic position of Saturn in your house of death is the transit of Uranus, the joker and lord of chaos into your house of mysticism and past lifetimes. There is a lot of letting go happening this year so if you want to purge, purify, detox, and cut from obstacles that keep you stagnant, 2019 is the year you have been waiting for. Cancer - I feel everyone and everything around me. 2019 Integration: I and thou. 2019 is an eventful year for you guys. I know you like to take your time in almost everything you are doing, but this year with the eclipses in your sign, things are moving faster than before. This year, there is a lot of action in Capricorn, your opposite sign. With Saturn, Pluto, some of the eclipses, and in December, Jupiter, all converging in Capricorn, the energies overflow into your sign. In addition, the North Node, also dubbed Head of the Dragon, is transiting into your sign for the first time since 2000-2001. It is vital that you go back 19, 38, and 57 years to see what the dragon wanted to teach you. The Head of the Dragon lunar node, as we saw earlier, is a mathematical point in the chart that tells us what our soul desires to learn. Since November 2018, as the Dragon moved into Cancer and now breathes water, we all must learn the lessons taught by your sign. That means that for the next two years we look up to you, Cancer, to tell us how to behave. It means that you are now the mother/father of dragons. It is up to you to tame, fly, navigate, feed, and control the dragon. You need to set an example with your compassion, unconditional love, acceptance, parenting skills, healing talents, nourishing abilities, and forgiveness. And believe me, we will test you again and again to see if you still love us, even though we are putting you through hell. partners, those you chose to mirror your true self back to you. This is a year when you can break patterns in relationships and drastically improve your connections to significant others, especially during the eclipses in January, July, and December. The transit of Saturn in this house can also manifest as challenges from your enemies, legal issues, and lawsuits. Take heed and get a good lawyer. Leo - I will serve! 2019 Integration: Retreating and engaging. The last two years were a roller coaster for the zodiacal felines. In 2017 and 2018, the North Node was in your sign for the first time since 1998 and it was shifting the eclipses to point at you. In the last two years, especially in February and July/August, you felt life accelerate, pushing you to new frontiers. Now that the North Node has moved away from you and into Cancer, you will feel less stress and extra responsibilities. In 2019 you can lick your wounds and rest. Saturn, the Lord of Karma, the rectifier according to Kabbalah, is helping you fix your work, diet, health, and routine. Saturn is not a good or a bad planet. He teaches us what needs to be assimilated in order to grow. Saturn helps us identify and break patterns. In 2018, this year as well as in 2020, you are asked to change things in the way you work, in your routine, and in your schedule. The key word for the next year continues to be “Service.” I know that you are of royal blood and that you should be served, but once in 30 years you learn what service is and how it works. In 2019 you must master this concept. Your health is determined by how you serve your body: what you eat and how you exercise. Your work and success in your job is conditioned by how you serve your mission or how you let your employees serve you. There might be a change in where and what you do for work. There could also be some challenges with your employees or a need to change people who work for you or under you. There could also be a possibility that people under you in work or your coworkers have a hard time in their personal lives that could affect their ability to work. Since Saturn is in your house of health, he can bring some difficulties in that sphere. So please take extra time for healing, working out, eating well, or rejuvenating. And here your paradox manifests for 2019. On one hand, the cluster of planets in your house of work and health focuses you on engaging with service and being always available for others. On the other hand, the lunar nodes ask you to let go of work and service and retreat, connect to the mystic in you, focus on spirituality, and go meditate under a tree for a year or two. Virgo - I serve creativity. 2019 Integration: Children and Friends. 2019 continues your journey in the realm of love, happiness, and children. You are done being everyone’s accountant. You are finished with being the editor and hiding behind the scenes. This is your year to become the star, to be on the stage and learn how to be served. Since this year is declared the year of birthing your inner child, the transits of Saturn, Pluto, the eclipses, and Jupiter will facilitate this process. You no longer need to be the super-nanny or super- manny. You can become the child. For the last 12 months, you have been dealing with questions such as: where is my love? Where is my happiness? What makes my heart smile? How can I tap into my creativity? For some of you Virgos, it is a time to change your relationship with your children, whether they are your human kids or baby projects. With 2019’s stellium in your house of children and this year being the year of birthing, you are more than ready to give birth to something huge in your life. But as always, you will do it in the quiet and humble way you are used to doing everything else. No drama, just practical, efficient, and effective giving of light. sports. For this reason, 2019 is a great time to focus and put a great deal of discipline, time, and effort in connection to a new hobby or physical activity. I know for a Virgo it might sound puerile and silly but look at it as an investment in your inner child. Eventually this investment in yourself can become pragmatic and practical. Try to travel back in time to your puberty and see if there was a subject in school that fascinated you or that you excelled in, or maybe an extra-curricular activity you later abandoned, and see if you can give your inner child some of what he/she has lost. Since Saturn is in your house of love, he can present a potential lover but with some challenges attached. Maybe the potential lover is not available or suddenly has to move out of town for work. Don’t get discouraged. Saturn is testing to see how serious and persistent you are. From December, when Jupiter enters your house of love for the entirety of 2020, romance will become easier. Libra - I balance home and career. 2019 Integration: Personal and professional life. 2019 continues your journey to heal, focus, rectify, and restructure your home and family life. Saturn, the Lord Karma, the grand teacher and the rectifier, is helping you rebuild your abode, your shell, your temple. Once in 28 years, Saturn returns to the foundation of your chart and cleans your cellars. When Saturn is transiting in the lowest part of your chart, he is helping you cleanse deep-rooted emotional issues dating back either 28 years and/or to early childhood. This means that things you have been sweeping under the carpet for decades are resurfacing and demand conformation and healing. You have already been working hard on creating a family for a year, fixing your habitat, changing homes, dealing with family members, and focusing on the key phrase, “I feel.” Even your relationships with your mother and mother figures were and are going through an adjustment. Since Libra is the sign of relationships, having Saturn in the house of home is helping you understand the connection between conditioning done in your early childhood and your current significant relationships. This is also true since Chiron, the wounded healer, has moved to your house of relationships, bringing into the open ancient wounds that afflict all your partnerships in work or in life. Saturn is also transiting in your house of the “end of things,” helping you get resolutions and completion. 2019 is a good year to close circles, end cycles, and bring things to an end, which perfectly fits the energies of the number 12 associated with this year. This year, you can break patterns that have been causing you to live in circles. Since the North Node is in Cancer, the sign of home and family, it is asking you to learn the lessons of forgiveness and compassion. As you can see, there is a planetary convergence in 2019 helping you fix the home front as well as increase your emotional intelligence. This will be especially powerful in December, when Jupiter will enter your house of home providing opportunities to buy property, renovate a home, move to a better place, or start a family. Scorpio - I transform communication. 2019 Integration: My truth versus your truth. 2019 continues transforming your communication and your connection to logos, the word. In many traditions, the power of the word is the power of creation. In Genesis, Elohim said “Let there be light,” and there was light. God didn’t think or imagine, God said. By the same token, the magical spell abracadabra, means “I shall create that which I said.” If Scorpio is the sign of magic, then next year you are learning how to use words, communication, letters, digits, and signs in the service of transformation. Be extra careful during the eclipses (listed below), especially during the period of July 7 to 31, where you will have Mercury retrograde and the eclipses. This can be the most challenging period of communication. Saturn in the house of business can help you think, conjure, and manifest ideas for a new project or endeavor. Since Saturn is also in your house of marketing, you will have to learn to talk about yourself or your work and make sure you promote yourself. If you never do it, well, that’s what Saturn is trying to teach you. If you did market and promote yourself before in a certain way, now it’s the year to try a new form of self-promotion. Sagittarius - I see my worth. 2019 Integration: My values versus my partner’s values. 2019 continues your journey into discovering your true potential, talents, and self-worth. These lessons started a long time ago. At the end of 2014, Saturn, the Lord Karma, the grand teacher, moved into your sign and started changing you inside out. You could no longer ignore your issues with your signature optimism and happy-go-lucky attitude. In December 2017, you were finally freed from Saturn and throughout 2018 you slowly recuperated and reignited your fire. Saturn is transiting in your house money, talents, and self-worth. In 2019, you need to invest money, faith, and time in your talents. It is a great year to change the way you make money by tapping into hidden or forgotten talents that sit better with your current values, which probably changed dramatically in the last three years. Some of you will experience lower income or less money in the bank due to long-term investments in new sources of money. But with your planet, Jupiter, moving in December 2019 to your house of money, your financial situation should improve in 2020. Saturn wants you to look into your values and be open to changing some of them. You can get preachy and stubborn with your philosophies and outlook on life. 2019 offers you an opportunity to change the ideals or philosophies that hold you back and prevent you from growing. Free your mind, the rest should follow. The change in values or outlook on life could help you tap into new talents and, with the help of improved self-worth, get you to the right path financially. Yes, you can make money from things you love. Saturn is not the only planet in your house of finance. The eclipses in January, July, and December, can also push forward new projects and new ways of making money. In addition, the North Node, which represents what your soul desires to learn, is moving this year into your house of other people’s money and talents. 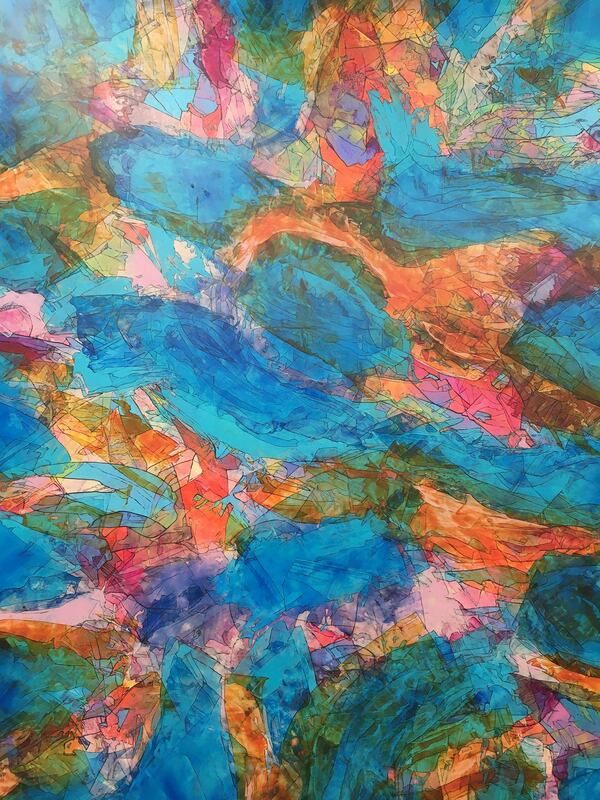 This means that your income can increase by co-creation or working in joint artistic or join financial projects. The North Node is also in your house of sexuality and intimacy and is trying to help you connect to your true passion. Sagittarians, you move with freedom and are addicted to thrills, but in 2019, your job is to connect your mind, heart, and sexual organs. Intimacy and sexuality are getting married this year. Capricorn - I use what I have to share. 2019 Integration: Me and You. What a year 2018 has been for your tribe! And what a year you are about to begin. To be honest, the journey is just beginning. 2020 is the year where everyone around you will try to be you, since we will have a convergence of planets in your sign. I know you are good with long-term projects, running long distances, and being patient, but life has been challenging for you since Saturn moved into your sign in the end of 2017. Usually having Saturn in your sign is not easy, but for you, hosting the planet of karma is not a big deal. After all, Saturn is your ruler and has a special relationship with you. The last time Saturn was in your sign was 1989-1991. You can return to that period to see how Saturn worked with you and what your lessons were back then. These lessons are bound to return and continue your karmic education for the next two years. From December 2017 to end of 2020, Saturn, the grand teacher and rectifier, is transiting in your house of body, personality, and identity. 2019 and 2020 are crucial in defining your next three decades. You are now sculpting a new identity, a new body, a new temperament. In these years, you can transcend your genetics, conditioning, and childhood traumas or patterns. You have the power through discipline, persistence, and endurance to change not only your physical body but also your character and nature. You can rebrand yourself, embarking on a new path that can change everything from your finances to your relationships, where you live and who your friends are. It is a rare opportunity to be someone new, especially as it is happening in the year you are supposed to give birth to your inner child. 2019 might feel like Saturn is reconstructing you by first causing you to erase your old self. Saturn is not an easy planet and you might have to deal with injuries, physical pain, and setbacks before you can rebuild your new personality. I recommend starting a new exercise regimen, changing your clothes and style, changing your hair, maybe even changing cities or neighborhoods. I know change is not easy for you but in December, Jupiter, the planet of luck, is moving for the first time in 12 years into your sign. This is great news as in 2020 you will have Jupiter helping you experience a great deal of opportunities and expansion. In fact, the Tarot card “two of disks” is associated with Jupiter in Capricorn and is called “Change.” Change is coming, and this year you can decide the course and direction of this change. Aquarius - I know empathy. 2019 Integration: Serve others while serving myself. 2019 continues your journey in the mysterious house of mysticism, past lifetimes, empathy, poetry, dance, hospitalization, confinement, and letting go. I must be honest, there is no sugar coating this placement for Saturn. He is deep in what is called the “house of suffering,” but it is also dubbed the “house of enlightenment.” If you stop to think about it, and thinking is something your tribe of Aquarius is known for, everyone who attained enlightenment did so after a long period of suffering. The Buddha and Christ had three temptations and a visitation from the devil himself before they received their illumination. You too are now walking in the shadow of death, and you should fear no evil. It has been going on for the last year-and-a-half and it will continue until 2021 when Saturn moves into your sign. Saturn’s journey in your house of letting go is not bad. It is a powerful opportunity once in 30 years to shed everything about your life or your personality that holds you back. It is a time when you can strip naked and expose your weaknesses so they can be vanquished. It is a time to surrender, to become like water, and flow with life instead of trying to control it. With this transit of Saturn, you might experience a great deal of memories from past lifetimes. Maybe you will find yourself excelling in new skills that you had prior experience with. It could be that you find yourself in a new city or country that feels familiar or a new person walking into your life with whom you develop instant intimacy as if you knew each other for years. Saturn’s transit in this house (called the 12th house which is the number of this year) can make you feel more vulnerable and sensitive. As you open to your spiritual side and experience empathy and intuition, psychic hits, prophetic dreams, and visions, you might also feel depressed or sad at times. It is as if you pick up other people’s energies and absorb their pain. You might feel lethargic or with no energy to achieve your goals. It makes sense. Don’t be critical with yourself. It is a good time to try to sleep more, but also swimming, walking by a water source, and meditating can elevate the negative feelings. Pisces - I imagine my perfect community. 2019 Integration: mine versus other people’s love and creativity. Pisces is a mute sign. Like the mermaids and mermen, they would rather chant, dance, swim, meditate, dream, and sleep than speak. But 2019 continues your journey in the house of community, fraternity, humanity, and hope, which means that you can do anything you like doing as long as you do it in a group or with your friends. This is a year to socialize, increase your amount of connections, work with NGOs and nonprofits, and allow humanity to enjoy the gifts you were given in this life. Saturn, the Lord Karma, the grand teacher and rectifier, is helping you change your tribe and community. You will have to bid farewell to old companies, corporations, friends, and collogues and welcome new people and acquaintances. You have changed a great deal and now your friends will have to reflect that change. If you are working in a corporation or a company, there might be some change in management or how the organization runs. This will force change in your status in the organization. 2019 offers you a powerful opportunity to change your contact list, get rid of people that drain you, and bring new blood into your friendships. In 2019, try to join new clubs and groups. Look for connectors that can help you create a new network. It is not an easy thing for you as you usually like solitude, but 2019 is a year to be in the center of your groups. This year, Saturn is transiting in your house of wishes, manifestations, and hope. Not only can you make your wishes come true, you can also help others do the same. It is a year when people will ask you to use your psychic powers and intuition to help people around you. You can become an antenna of positivity, broadcasting hope. Since Saturn is in your house of government, make sure you have no issues with taxes or permits as some difficulties with bureaucracy can arise.